OrderPaperToday – Rattled by a sensational bribery allegation made against it by the Director General (DG) of National Agency for Food and Drugs Administration and Control (NAFDAC), Prof. Mojisola Adeyeye, the House of Representatives Committee on Health Services is set to launch a probe into alleged misappropriation and diversion of funds in the agency. 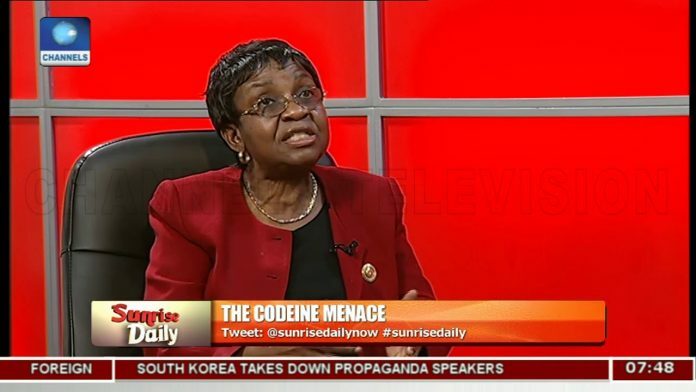 According to her, “On December 20, just less than a month into my tenure, the National Assembly committee on Health Services came for oversight function in NAFDAC, and I showed them that about 70 per cent of our equipment are not working, and that we need over 50 vehicles for our inspections, and that my directors do not have computers. They then asked if they can go into my office, I said fine. We got in, and they said they needed welfare. I told them they got it wrong, that I won’t give them money.” Watch the video here. According to the member, the DG is laying the allegations in an attempt to ward off a probe of diversion of funds and extra-budgetary spending discovered in the agency, querying that “if she says this incident took place two years ago why didn’t she speak up, why did she have to wait till this time that she came to present the 2019 budget? The committee has written to her; if she is honest as she claims then she should prove her allegations. “Rather, it is the DG that owes the committee some explanation because funds that were meant for a drug awareness campaign she diverted it into another use. Some staff of the agency alleged that she went and created a sub heading and she engaged the services of a consultant to purchase official cars. And it was discovered that that money was withdrawn in from the Central Bank of Nigeria (CBN) into a director’s account. “However, all these are still allegations that the committee would be seeking clarification. She has no right to spend funds not budgeted for without recourse to the national assembly. This particular woman is in the habit of flaunting and disobeying the appropriation law. And she also doesn’t have regard for the committee”. Recall that it is not the first time an agency of government would be accusing the national assembly of demanding for bribe from them. At the end of such investigations the reports are swept away eventually. Nigerians are watching how this also would be handled by the national assembly and the nation’s anti-graft agencies.